Describe your experience with wedding planning : To be completely honest, wedding planning is a very stressful time. We are often told that the wedding is only about the bride and groom, and making them happy on their big day. But, with family and friends flying in from around the world, the input of our loved ones, and the joining of two families, that's just not realistic. We wanted our families to be included in the process since this was a celebration of something bigger than us. That comes with its own set of trials and stresses. But, the best part is, the difficulties and anxieties of planning a wedding drift far from your mind on the day of the celebration as you're wrapped up in the joy of your special day. 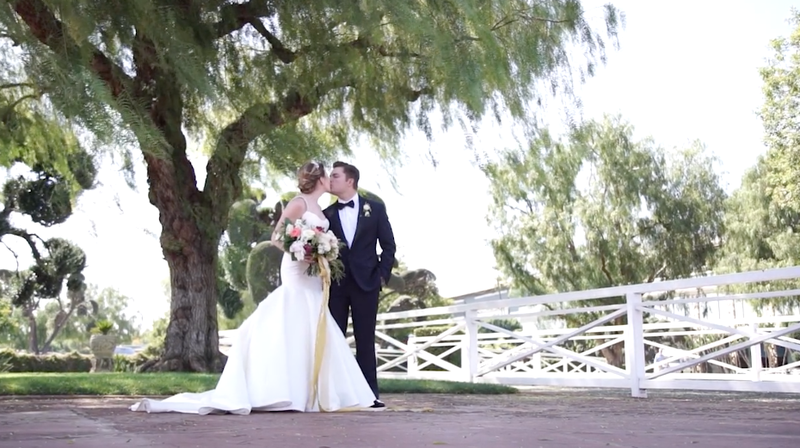 Now, when we watch our gorgeous wedding video that Rene Zadori created for us, we think very little of the stress and headaches of planning, and are reminded of the beauty and joy of the celebration. The best advice we can give to brides and grooms planning their own wedding celebration would be to take care of the non-negotiable aspects that you want, and stress less about the smaller details, which you may not remember a year later. Remind yourself that the most important part of the whole process is the person by your side and the people with whom you celebrate. 50 years later, the rest will just be photos, videos and memories, but your spouse will still be by your side. Also, take at least a day between the wedding and the honeymoon. Weddings are a unique opportunity to spend time with your best friends and family, but the day itself is incredibly busy. A recovery day between allows you the time to cherish and reflect on the day, before rushing off on another adventure. What are your favorite moments of your wedding day? : A distinctive moment occurred as we were watching the sun set over the horse races with the gorgeous mountain landscape in the background, realizing how beautiful it is to be married. How did you meet? : On a hot July night in 2014, Donovan ducked into a local bar to watch an old friend from high school play music. But when the front door opened and a cold breeze floated in, Donovan’s very being was enthralled by the silhouette that stepped through the door. In strolled Natasha, a bright breathe of cool air, tempering the heat of the Southern California night. The music faded out, the lights dimmed further, and Donovan knew that whoever this woman was, and whatever she was doing there that night, she would change his life forever. He just wasn’t sure how yet. “Hi, I’m Donovan,” he said, as she sat down next to him and a group of mutual friends. Through hours of his hanging on her every word, he’d find out that night that they had grown up together, played at the same playgrounds, sung in the same choirs, and gone to the same school dances; they’d just never met until that electric July night. From that moment on, Natasha and Donovan were completely captivated with each other. Interesting or fun facts about the wedding or couple: Our wedding venue lends itself to several interesting and fun facts. More particularly, having a private terrace at a historic race track where our guests were placing bets on races in the same room where Fred Astaire, Humphrey Bogart, and Audrey Hepburn had done decades prior.